I know that I said I wouldn’t put any more updates re our owls but this is a milestone. 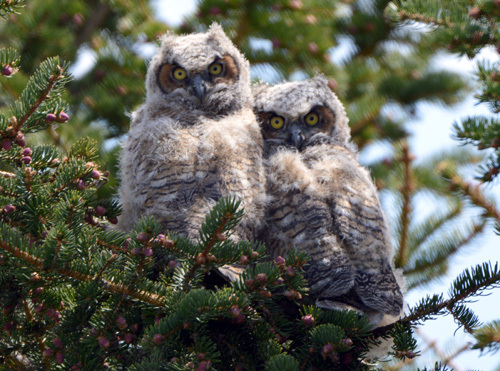 Both owlets were off the nest this morning, just beside it on a branch. They will now keep going on and off the nest as they feel comfortable. They are so cute! Adorable!!! GREAT photo and I learn a lot from you about their habits! !